An important part of T&G Controls is our ability to provide custom metal solutions for customers in our 10,000 sq feet metal suite. 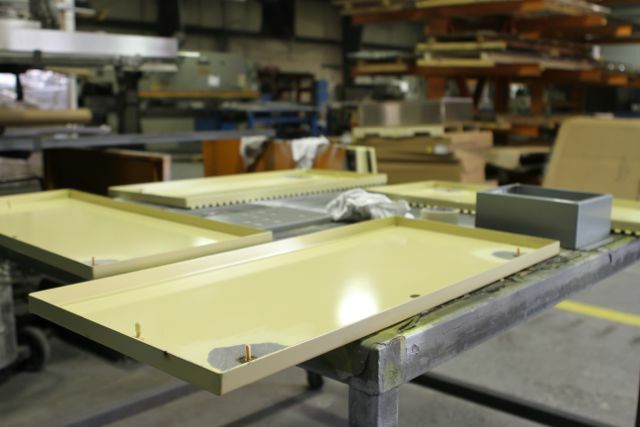 From custom metal parts to complete enclosures with custom dimensions not found in stock, T&G Controls is able to meet customer needs in every phase of the fabrication process. In-house Mechanical CAD design and modeling, CNC machinery, paint shop, and a precision laser allow our metal suite to meet every detail of every customer’s unique projects. Having a custom metal suite within the same building as two wiring suites has allowed T&G Controls to claim itself as the One-Stop Panel Shop in the Southeast.